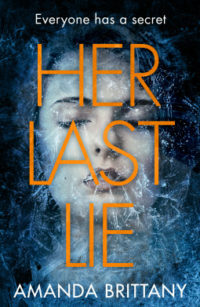 Recently, I have been getting into thriller/mystery books, so when I was given the change to read and review Her Last Lie, I was really excited. It had such an interesting premise with the fact that social media looked to play a big part of the tension in this book. Starting this book, I had such high hopes and though it was a really easy read, it didn’t seem to engage me like I thought it would. The book was split into two parts and the first part did seem to be building up to something. Witnessing as Isla seemed to be losing her sanity or her grip on reality. At times I was unsure if this was all in her mind or if someone was really stalking her. Isla had her suspicions on who was the likely stalker, but this was quickly discounted. My suspicions quickly turned to her boyfriend Jack or her former University Boyfriend, Trevor. It flipped between the two for most of the book and though one was discounted at the end of the book, I am still unsure about the innocence of the other. They just seemed to turn up in the last scene but it was almost too convenient. While reading the second part of the book, I couldn’t help feeling that the purpose of this was to try to have a clever twist at the end, but there just seemed to be a lot of putting people in places to serve the plot in order to get the answers to many of the plotlines. It just seemed so convenient and at times didn’t feel natural. It is a shame because even though I disagreed with some of the choices Isla made, but the ending of that part was interesting. The second part just ended up seeming rushed. There was also the issue of the whole cast of not being aware of the outcome of a very important case. In the age of social media and 24 hour news reporting, it seemed really improbable, especially since social media plays an important in the book. As a character, Isla was difficult to root for because I couldn’t believe some of the things she did. Yes, I did feel sorry for her due to the things that she went through before the book and when she felt that she was being stalked, but the way she treated her boyfriend at times made me angry with her. It was clear to see that this was a defence mechanism in order to get over the trauma. The other characters in the book were not as well developed as Isla and at times felt either stereotypical or very 2 dimensional. The book isn’t long but at times I felt my interest waning and was unsure where the story was heading. After finishing it, I do think this would make an ideal holiday read. For a debut novel, it is good and the author has some great ideas. However sometimes it just missed the mark for me, which is a shame because it did hold a lot of promise. This hasn’t put me off reading more from the author and I would love to see how she develops her craft.